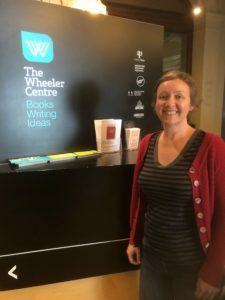 In November, Backroom Press Chairperson, Gillian Kennedy, attended the three-day Independent Publishing Conference at the Wheeler Centre in Melbourne, hosted by the Small Press Network (SPN). 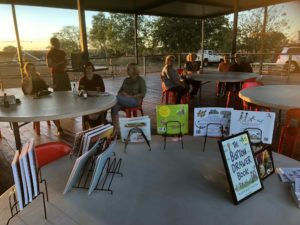 It was terrific to meet fellow small-press colleagues, to hear about the latest trends in the book industry and to get some great publishing tips to bring back to Broome. Session highlights included ‘Reaching your audience’, ‘Business basics’, ‘Book cover design’ and ‘Getting your books into libraries’. Gillian recommends this conference as a ‘must-do’ for the Backroom Press calendar next year. 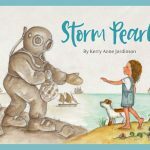 No matter how big or how small, most publishers seem to grapple with similar challenges when it comes to choosing which manuscripts to take on: a. Is it the right ‘fit’ for the organisation? b. Will it make money? c. If it won’t make money, should we publish it anyway, because we love it? Big publishers are often risk averse; they are looking for ‘the last big thing’. 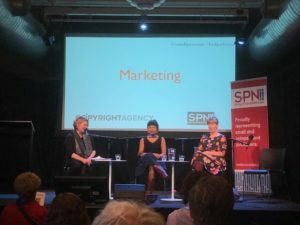 Small (and micro) publishers can be liberated from the ‘bestsellers’ market, to find the writers and stories that might be the ‘next big thing’. 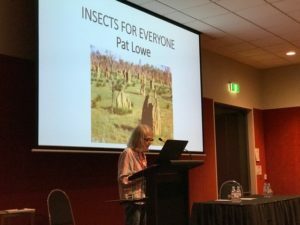 Insect enthusiast and Backroom Press member, Pat Lowe, attended the Australian Entomology Society conference at Alice Springs on our behalf. She presented a paper titled ‘Insects for Everyone’. 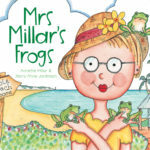 She enjoyed meeting others of like mind and spruiking Our Friends the Termites. In July, Backroom Press representatives, Gillian Kennedy, Pat Lowe and Eirlys Richards, drove to Derby to support the inaugural Derby Writers’ Festival. Local artist Maggie McGuiness organised the festival almost single-handed. Pat presented the Kimberley Writers Prize to Trish Calliope for her short story ‘Kimberley Kindness’. 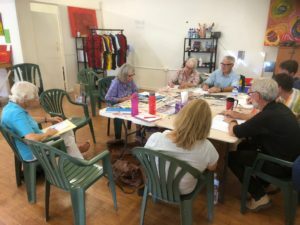 The Broome team also helped to run some of the workshops, pictured below. 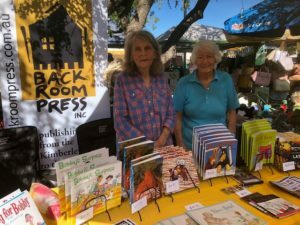 Thanks to the Derby CWA for providing space at the market where we were able to sell our books, and for the very reasonable accommodation. 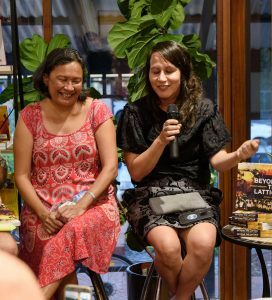 The second edition of Beyond the Lattice: Broome’s early years was launched in April 2018 at the Kimberley Bookshop. 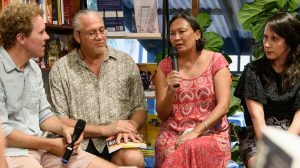 Backroom Press committee member Ben Collins interviewed a panel of three people, Carol Tang Wei, Arnhem Hunter and Rachel Bin Salleh who represented Broome families, all featured in the book. The Bookshop was crowded as many came to obtain their own copy of this new edition. 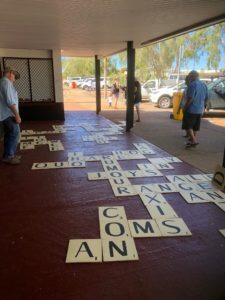 The event attracted well wishers and Broome history enthusiasts, and many who were paying tribute to Susan. 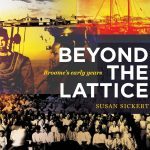 Beyond the Lattice: Broome’s early years was originally published in 2003 by Fremantle Arts Centre Press. It explores the history of Broome’s multicultural community and tells the inside story of race relations in the town’s early days. Meticulously researched, it has become a local classic. Sadly, Susan passed away shortly before the launch, after years of ill health.